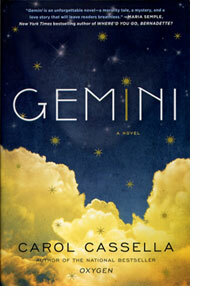 "... we could provide good care for everyone..."
In person, Carol Cassella is much like her novel, 'Gemini.' She's smart, engaging, very low-key, but able to address big issues with an understated elegance. It seems as if she must have a hard time getting away from being a doctor to write. I imagine as a doctor she'd be in quite high demand. Talking about 'Gemini' does present some challenges, because there are aspects of the plot that one simply does not want to discuss. Readers know that in my interviews, I try to preserve the reading experience, and we've done that quite handily here. It's a tribute to how much Cassella packs into this slim, tense literary thriller. Cassella wrote me after our interview and asked if I'd include this statement from her in my write up of the interview. It certainly bears thinking about and is pertinent to the book. 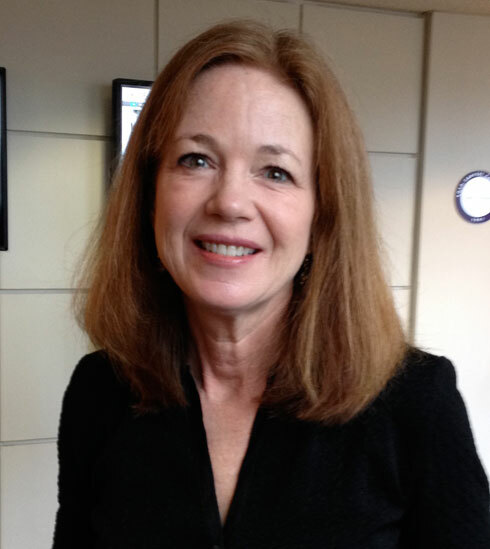 "The one thing I forgot to share with your audience is that there are good estimates that around 30% of our healthcare dollars are wasted now, on inappropriate care, medical errors, pricing failures, and a cumbersome administrative bureaucracy. If we could capture that waste and reallocate it, we could provide good care for everyone who needs it." Well said, and certainly pertinent to and present in the novel, which uses fiction to craft an emotional vision of the less than thrilling facts about our current healthcare system. I have to admit that I had quite a bit of fun putting together the Sunday broadcast version of this show. Not so long ago, I came across what seems to me to be a very rare CD; it's the Tangerine Dream soundtrack to a TV movie called Deadly Care. I've never seen the CD (or the Lifetime movie) before, at least, and I have spent more time than most rifling through the music of Tangerine Dream. It like it quite a bit, and used it as the interstitial music for the show to air on KUSP Sunday evening at 6 PM. You can hear my conversation with Carol Cassella, which begins with two readings, one from each novel-within-a-novel, by following this link to the MP3 audio file. Here's the one-hundred fifty-fourth episode of my series of podcasts, which I'm calling Time to Read. Hitting the two-year mark, I'm going to make an effort to stay ahead, so that podcast listeners can get the same sort of "sneak preview" effect that radio listeners get each Friday morning. This week, I seem to be on top opf the game, but who knows what the hell might happen. I am hoping to stay back up and stumbling. "It's an urban war in Iraq." 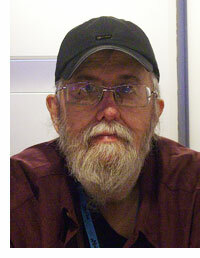 In 2005, when the World Fantasy Convention met in Monterey, I spoke with the late, great Lucius Shepard. He was a writer helped me find the real power of the genre, one whose work led me in. I have with great pride my Arkham House copy of 'The Jaguar Hunter.' It's a work that holds its power today. Here's a link to our interview in 2005. I love slippery writers, writers who set up expectations and then regularly demolish them with complete aplomb. Lucius Shepard is one of those writers who shows a complete mastery of one form, only to show up with a new work that demonstrates mastery of another form. He's certainly one of the best English-language 'magic realists' with work such as 'The Leopard Hunter' and 'On the Border'. Then he'll pop over to the horror genre to write one of the best vampire novels, ever, 'The Golden'. Back to mystery and horror for his PS Publishing novella, 'Floater', and then into fantasy and science fiction with 'The Scalehunter's Beautiful Daughter', then erotica with 'Valantine'. But all of the above, no matter how disparate in genre, setting, and tone are still quickly and easily identified as Shepard's work by virtue of his clean and elegant prose. Shepard is the kind of writer usually referred to as a "writer's writer" because he exhibits great skill in his writing and has many fans who are writers themselves. Hot on the heels of his science fiction / surreal horror short novel for Night Shade Books, 'Viator', he helping veteran publisher Avalon Books launch a new imprint Thunder's Mouth Press with yet another style of surreal modern Americana, 'A Handbook of American Prayer' (Thunder's Mouth Press / Avalon Books ; September 4, 2004 ; $22.00). Once again, Shepard throws genre and caution to the winds as he combines what looks to be a gritty prison noir with elements of above-mentioned magic realism to create another who-cares-what-you-call-it so-long-as-you-read-it-right-now novel. Wardlin Stuart is no great shakes when he kills a man in a bar fight. He gets ten years for manslaughter, and spends his time there composing poems and prayers addressed to no god on the regular roster, not capital-g God, not Jehovah, not Allah. He's not aiming, after all, for miracle, but rather some small creature comforts and conveniences. But he gets what he wants before he comes to realize that no matter how small, miracles are miracles and celebrity is celebrity. Emerging from prison, he finds himself on a collision course with a fundamentalist minister of national renown. That's not a big surprise, since by definition, fundamentalists tend to think they own the one and only capital-g God, lock stock and two smoking barrels. However, they don't expect their ol' capital-g God -- or any other, including that of Wardlin Stuart -- to show up on the mean streets. But Stuarts seems to have broken the mold and that's a potential problem for lots of people, including Stuart himself. 'A Handbook for American Prayer' has been compared favorably to a recent favorite of Terry D'Auray's, Percival Everett's 'American Desert'. It's packaged in a clean jacket and at Bookshop Santa Cruz it was shelved under literature. And given the packaging, who but an astute reader, familiar with Shepard's oeuvre would have filed it anywhere else? And in fact, to my mind, anyone familiar with Shepard would have done the same. Shepard just writes great books, no matter where they may happen to be shelved. Who knows where Shepard will slip to next? What might happen, were someone at the New Yorker to get a hold of this book, and put it in the 'Briefly noted' section? Or more appropriately, were they to find it, plunge into Shepard's huge and diverse catalogue and give him the space he deserves. As it stands, Shepard's latest novel can be found under literature. Where, to my mind, all of his works belongs.